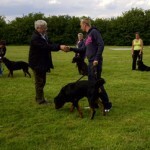 Despite working with and living with a vast array of breeds and types of dog and his love of most breeds of dog, Ross has a real penchant for the working Rottweiler. 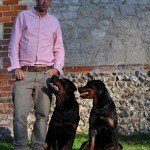 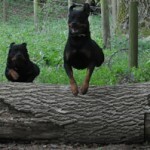 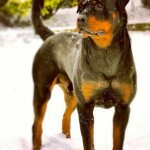 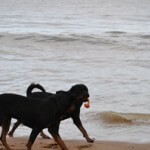 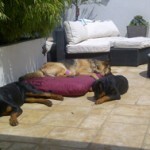 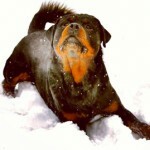 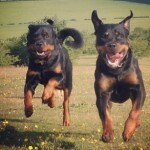 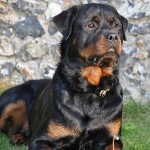 He currently shares his London home with three marvelous Rottweiler’s; Utz, Rohkh and Aiidh. 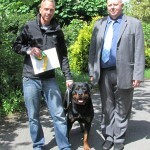 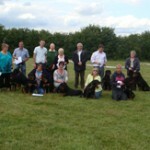 Utz, under Ross McCarthy’s tutelage has achieved his Kennel Club Gold Good Citizen Award, British Rottweiler Association Temperament Test Excellent on two occasions and has his Companion Dog Excellent and UD Working trials qualifications. 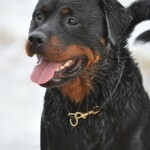 This give him letters after his name of CDEx and UD. 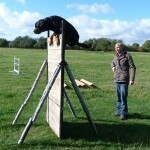 Ross is currently working towards his Working Dog and Utility Dog Excellent qualification. 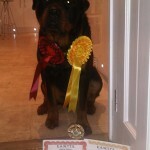 He has also passed level 1 of the UK Tracking Dog Association tests. 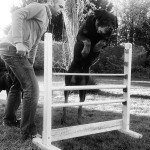 Utz is a regular on the Dog Safety Education Executive workshops, the CIDBT Dog Handlers and Professional Instructor Skills workshops. 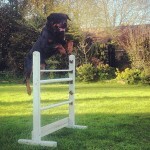 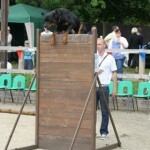 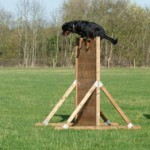 Utz recently appeared on Channel 4’s ‘Come Dine with Me’ and was used to jump over the terrified guests. 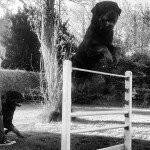 View the film here. 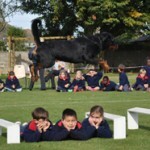 He is a firm favourite at School Educational Visits. 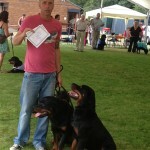 Rohkh has also qualified CDEx in Working Trials and has achieved his Kennel Club Bronze, Silver and Gold Good Citizen award and passed his British Rottweiler Association Temperament Assessment graded excellent on two occasions. 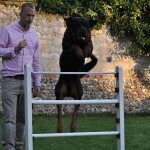 Aiidh is presently six months old and is training in various working disciplines including competitive obedience.